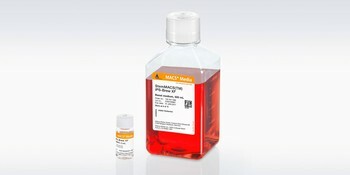 StemMACS Media XF are xeno- and serum-free cell culture media for reproducible stem cell expansion. All StemMACS Media XF formulations have a corresponding GMP-compliant version, allowing an easy transition to clinical applications. For optimal performance and standardization, all raw materials and growth factors are validated and each StemMACS Media XF lot is manufactured under highest quality standards. 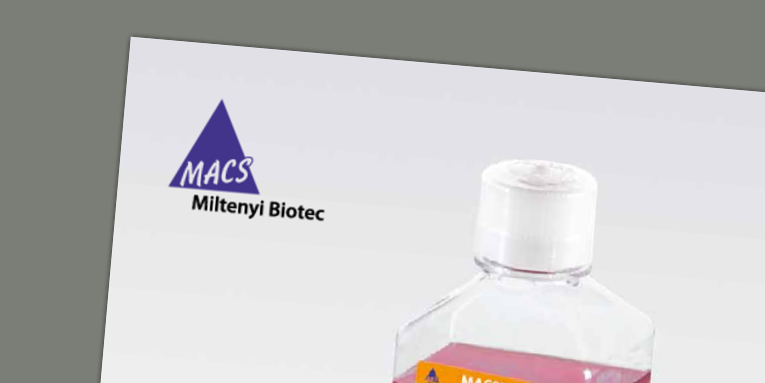 For hematopoietic stem cells (HSCs) and mesenchymal stem cells (MSCs), Miltenyi Biotec offers differentiation media and media for colony forming unit (CFU) assays to accurately analyze and evaluate the potential and quality of cultured stem cells. Still using media with animal components?